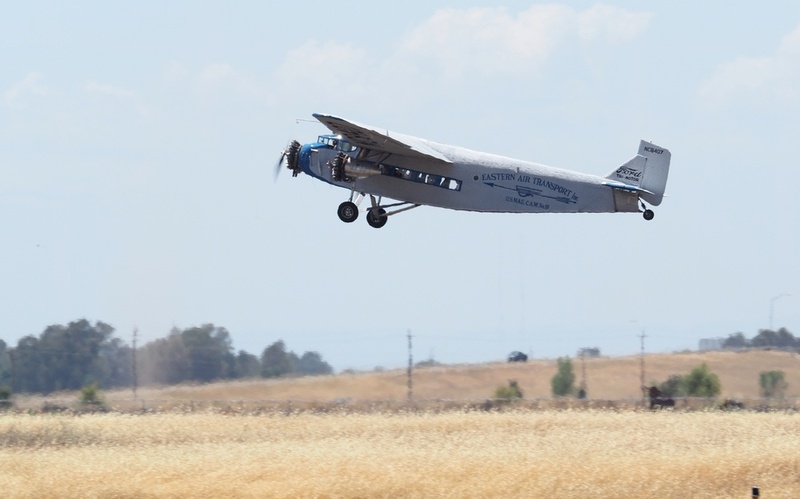 The 1929 Ford Tri-Motor “Tin Goose” airplane takes off for an aerial tour of Lincoln. When Lincoln residents look skyward this weekend, they will likely see a piece of history flying overhead. A vintage airplane, called the Ford Tri-Motor “Tin Goose” is visiting Lincoln airport this weekend, allowing visitors to see it up close and a chance to take a flight over Lincoln. The Ford airplane is owned by the Experimental Aircraft Association (EAA), located in Oshkosh, Wisconsin.